Eight South Korean journalists arrived in North Korea on Wednesday by government plane to cover the dismantlement of its nuclear test facilities expected later this week. The reporters and television crews joined the other journalists from the United States, China, Russia and Britain in Wonsan, as they wait for a special train to the Punggye-ri test site in the northeastern mountainous area. The media visitors from the four countries flew in to the North's eastern coastal city Tuesday from Beijing. It remains uncertain when the train will depart for the nuclear-testing site in Kilju, North Hamgyong Province. The distance between Wonsan and the Jaedok Station, adjacent to the venue, is known to be about 416 kilometers. Given the North's railway conditions, it will likely run at a speed of about 35 kph, according to observers here. It means a 12-hour train journey for the international journalists. Then, they are expected to use vehicles to reach the destination, approximately 21 km away from the station. U.S. President Donald Trump suggested Tuesday that his planned meeting with North Korean leader Kim Jong-un may not happen next month.Trump met with South Korean President Moon Jae-in at the White House ahead of the historic summit set for June 12 in Singapore. "There's a chance that it will work out. There's a very substantial chance it won't work out," Trump said at the top of his talks with Moon. "That doesn't mean it won't work out over a period of time. But it may not work out for June 12. But there's a good chance that we'll have the meeting." North Korea declined to accept the list of South Korean journalists chosen to cover the dismantling of its nuclear test site Tuesday, making it technically hard for the South Korean media to join the event scheduled for this week. 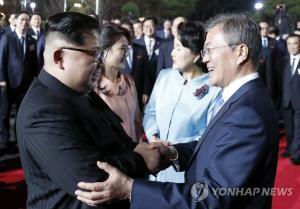 "We tried to convey the list through the Panmunjom communication channel at 9 a.m. today, but the North declined to accept it," a unification ministry official said on condition of anonymity.As the North declined to accept the list, South Korean media is highly likely to be excluded from covering the event that the North is planning to hold this week. "It appears to be technically difficult (for the South Korean reporters) to make a trip to the North today," a government official said. "It is regrettable. "A unification ministry official later told reporters that the Panmumjom channel was shut off for the day at 4 p.m. without any new developments.But the ministry said it will try again on Wednesday as Pyongyang earlier said the shutdown process will take place between Wednesday and Friday. North Korea has not accepted South Korea's proposed list of journalists chosen to cover a ceremony for the dismantlement of a nuclear test site planned for this week, the unification ministry said Monday.The ministry tried again on Monday to convey the list of the reporters selected to cover the shutdown of the Punggye-ri nuclear site through the communication channel in the morning and late in the afternoon, but the North has not responded on the matter, according to a ministry official. "Today's communication channel closed ... The list of our journalists was not delivered (to the North)," the official said on condition of anonymity.North Korea announced on May 12 that it will publicly dismantle the test site located in the country's northern region in a ceremony to which media from South Korea, China, Russia, the United States and Britain will be invited to cover. The Unification Ministry said on Monday that North Korea has accepted a list of reporters from the South who will cover the dismantlement of the Punggye-ri nuclear test site. A group of journalists from the U.S., the U.K., China and Russia had departed from Beijing Tuesday morning and arrived in North Korea. However, the South Korean journalists were not permitted to board the plane as the North Korean Embassy in Beijing refused to issue visas for them. 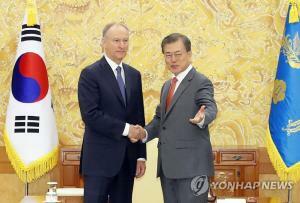 The eight-member South Korean press corps had returned to South Korea. President Moon Jae-in and U.S. President Donald Trump have agreed to work together closely to hold the U.S.-North Korea summit set for June 12th in Singapore as scheduled.Moon's chief press secretary Yoon Young-chan said in a news briefing on Wednesday that the two leaders reached the agreement on Tuesday during their summit talks at the White House.The secretary said that Moon and Trump assessed recent changes in North Korea's attitude toward South Korea and the U.S. and discussed ways to resolve possible concerns held by Pyongyang over its security for its denuclearization. Moon said that there is no need to doubt North Korean leader Kim Jong-un's determination to hold the summit with Trump.Moon added that the recent standoff may be resolved after the ongoing South Korea-U.S. joint military drills are over on Friday, which Pyongyang cited as the reason for refusing talks with Seoul. However, Trump suggested a possible delay in his summit with Kim. Buddhist temples across the nation hosted events on Wednesday marking the two-thousand-562nd birthday of the Buddha. An event held at Jogye Temple in downtown Seoul brought together around ten-thousand Buddhist monks and lay members, including the the Most Venerable Jinje, who is the supreme patriarch of the Jogye Order of Korean Buddhism, as well as the Most Venerable Seoljeong, Chief Administrator of the Jogye order. In a celebratory speech, the Most Venerable Jinje welcomed the advent of the era of peace and prosperity on the Korean Peninsula, apparently referring to the inter-Korean summit and the Panmunjeom Declaration produced out of the summit. The Most Venerable Seoljeong also addressed peaceful mood between the two Koreas in his own speech, urging all South Koreans, regardless of their political stances or classes, to become one in bringing peace to the Korean Peninsula. The Buddhist communities of the two Koreas celebrated the Buddha's Birthday together by adopting a joint inter-Korean prayer between the Jogye Order of Korean Buddhism and the North's Korean Buddhist Federation. South Korea has joined a European research and development (R&D) network to step up collaboration on various innovative projects, becoming the first non-regional partner, Seoul's trade ministry said Wednesday.EUREKA, a publicly funded, intergovernmental network involving over 40 nations, approved South Korea's membership in October and officially signed off on it Tuesday, the Ministry of Trade, Industry and Energy said. 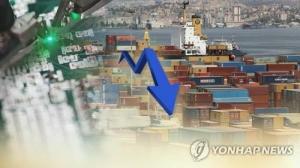 With the membership, South Korea will have voting rights in major decision making processes, the ministry said. Established in 1985 under the initiative of Germany and France, EUREKA promotes and supports market-oriented international R&D projects. It facilitates access to finance for companies involved in its projects. South Korea is making last-ditch efforts to get its journalists into North Korea to cover the dismantling of the North's nuclear test site amid no response from Pyongyang to the South's proposed list of reporters. "We have more time," Unification Minister Cho Myoung-gyon told reporters. "We will make more efforts since the dismantling of the nuclear site is an important and meaningful measure." The unification ministry plans to convey the list of the eight journalists through the communication channel at the truce village of Panmunjom when it opens at 9 a.m. on Wednesday. The North has declined to accept the list for days without providing any reason or explanation.If allowed to enter the North, the South Korean journalists could fly to the North's eastern city of Wonsan through the South-North direct flight route, a ministry official said.They were selected as pool reporters for the South Korean media ahead of the ceremony that the North is planning to host this week to demonstrate the demolition of its Punggye-ri nuclear test site. South Korean tech giant Samsung Electronics Co. has been picked as the best company in terms of business performance among the country's top 500 business concerns, a market tracker said Wednesday.According to CEO Score, Samsung Electronics, the world's top maker of smartphones and memory chips, received 712.9 points out of the full 800 in a business evaluation that covered eight categories, including global competitiveness, job creation and social contributions.Last year, Samsung Electronics ranked second, beaten by Naver Corp., South Korea's largest Internet portal operator.Samsung Electronics was the top performer in terms of global competitiveness and received strong evaluation in other areas, such as investment, high growth and job creation.Leading automaker Hyundai Motor Co. came in second with 604 points, followed by Naver with 583.4 points. South Korea and the US on Tuesday reaffirmed their commitment to denuclearization of North Korea, and to guarantee the Kim Jong-un regime’s security should conditions be met. Speaking at the summit meeting held in Washington DC on Tuesday (US time), President Moon Jae-in and US President Donald Trump agreed to collaborate closely in the run up to the US-North Korea talks. 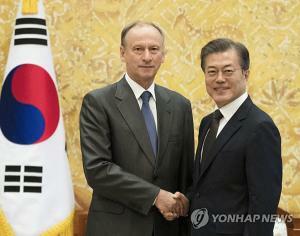 At the start of the meeting, Moon took the opportunity to once again emphasize the role Trump has played in the current developments.“There have been many agreements between North Korea and the US, but this is the first time an agreement between the leaders is being pursued,” Moon said, adding that Trump has brought about significant changes in North Korea issues. North Korea on Wednesday accepted the list of South Korean journalists, who were initially invited but later excluded from the flight to the North from Beijing a day earlier, to witness the dismantling of the Punggye-ri nuclear site. North Korean officials received the names of eight South Korean reporters through a hotline at the inter-Korean border village of Panmunjeom on Wednesday morning, the Unification Ministry said, after refusing to accept it several times in the past few days. Foreign journalists from the US, China, Russia and the UK left for the North Korean city of Wonsan, where a press center will be located, by a chartered plane from Beijing Capital International Airport on Tuesday morning. They are now in Wonsan waiting to board a special train to the nuclear site. It’s been five months since artificial intelligence has officially expanded its territory to TVs. But, few recognize the genuine role of AI in TVs, and are still confused about how AI TVs are different from existing smart TVs.Consumers could have a better understanding of AI TVs by looking at major features adopted by the latest lineup of new TVs by South Korean TV makers Samsung Electronics and LG Electronics for 2018. President Moon Jae-in and U.S. President Donald Trump have agreed on making best efforts to have Trump's upcoming summit with North Korean leader Kim Jong-un over denuclearization held as planned, Cheong Wa Dae said, Wednesday.But Trump mentioned the possibility of delaying his summit with Kim slated for June 12 if certain conditions are not met.In bilateral talks at the White House, Moon and Trump discussed strategy on how to achieve the Washington-Pyongyang summit and lead to the North's complete, verifiable and irreversible denuclearization (CVID).The bilateral talks took place amid concerns that the Trump-Kim summit may not ensure a successful outcome, because of Pyongyang's recent change of stance from reconciliatory to rather hostile. Pyongyang threatened to reconsider the summit in protest against some U.S. officials' advocacy of applying the "Libyan model," under which North will not receive any compensation until it removes all of its nuclear weapons. U.S. President Donald Trump on Monday urged China on Monday to maintain a secure border with North Korea, pressing Beijing ahead of his anticipated meeting with North Korean leader Kim Jong Un next month aimed at denuclearization. "China must continue to be strong & tight on the Border of North Korea until a deal is made. The word is that recently the Border has become much more porous and more has been filtering in. I want this to happen, and North Korea to be VERY successful, but only after signing!" Trump tweeted.He did not elaborate on the significance of the North Korea-China border issue in any deal that might be reached on denuclearization. Trump has said his meeting with Kim will take place on June 12 in Singapore. China is North Korea's most important trading partner and it has consistently said it is fully enforcing U.N. sanctions against the North. President Moon Jae-in and his U.S. counterpart Donald Trump at the White House on Tuesday agreed to cooperate closely to ensure that the U.S.-North Korea summit on June 12 is a success. The North has recently become more assertive in the runup to the summit as the two sides staked out wildly divergent road maps for denuclearization.Moon arrived at the White House at noon and sat down with Trump. He explained to Trump that North Korea’s latest fractious behavior is not so much a change of heart but fueled by demands for a solid regime security guarantee Trump again stressed that denuclearization must be complete, verifiable and irreversible if the North is to reap economic rewards. The two leaders also discussed what those rewards could look like. A Cheong Wa Dae official said they discussed "concrete support measures should North Korea completely scrap its nuclear weapons." Young couples are buying more cleaning appliances and small stylish gadgets but are turning their backs on big home entertainment systems and kitchen equipment. Analysis of the sales of major home appliances at Lotte Hi-Mart in the first quarters of the last three years shows that cordless or robot vacuum cleaners, clothing-care contraptions and air purifiers went up by 60 to 500 percent annually. Sales of steam closets rose by a whopping 980 percent last year. But sales of TVs and refrigerators did not grow much in the first half of this year, suggesting that the focus of the home appliance market is shifting according to the lifestyle of busy young couples. Just spending time outside in the sun is good for your health, as UV rays are converted into vitamin D in the body. Vitamin D plays an important role in strengthening bones and preventing depression. However, 93 percent of Koreans have insufficient levels of vitamin D, mainly due to lack of exposure to the sun's rays. In winter, at latitudes above 35 degrees north, UV rays hardly reach the Earth's surface, limiting people's exposure to them and hindering vitamin D production. As Korea is located between 33 and 38 degrees north of the equator, that means people living here should engage in sunbathing from spring to autumn. It is advised to go out in short sleeves or short pants and bask in the sun for 15 minutes at least three times a week. Around 11 a.m. or 3-4 p.m. are the best times, when UV rays are not too strong. Moderation is advised because exposing the skin to strong sunlight too often or too long can cause aging of the skin and, in rare cases, skin cancer. Sunscreen is not recommended as it blocks UV rays. 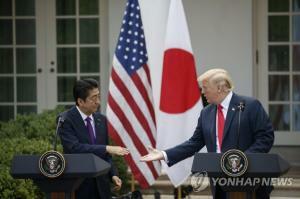 On May 23, the day after a summit between South Korean President Moon Jae-in and US President Donald Trump, the top diplomats from China and Japan will be simultaneously visiting Washington to coordinate their positions on the North Korea-US summit.With North Korea and the US facing a deadlock in their preliminary deliberations about the summit, which is scheduled to take place in Singapore on June 12, South Korea, the US, China and Japan are moving into overdrive, suggesting that this week may prove to be a watershed moment that can offer insight into future developments.“Chinese Foreign Minister Wang Yi will be visiting Washington on May 23 to discuss pressing issues with their US counterparts. The biggest issue is denuclearization at the North Korea-US summit,” said a diplomatic source in Washington, DC, who spoke on condition of anonymity on May 20. On the afternoon of May 21, South Korean President Moon Jae-in embarked on a trip to the US. His trip is designed to stabilize the situation on the Korean Peninsula, which has been on a rollercoaster over the past few weeks, and to get things laid out during the inter-Korean summit at Panmunjeom on Apr. 27 back on track.At noon on May 22, President Moon will have a summit with US President Donald Trump, after which they will have an expanded summit over lunch with their official retinues, largely consisting of figures from the two countries’ foreign policy and security establishments. This will be the fourth summit between Moon and Trump.There is only one item on the agenda to be discussed by Moon and Trump: the strategy for the North Korea-US summit that will be held in Singapore on June 12. During their meeting, the two leaders are likely to analyze why the always unpredictable North Korea has abruptly returned to a hardline posture and share ideas about the conditions for a successful summit and the big picture for after the summit. “I skipped breakfast so I could have a bowl of Pyongyang naengmyeon [cold noodles] for lunch. Workers are only happy when they’re by their comrades’ side.”Han Sang-gyun stretched out his arms and let out a hurrah. The former Korean Confederation of Trade Unions (KCTU) president was smiling freely after being paroled following two years and five months in prison.“Our president Han Sang-gyun, you really struggled! We love you so much!” The large banner prepared by the Ssangyong Motor chapter of the Korean Metal Workers’ Union rippled in the wind. Han previously served as the chapter’s president in 2009.At 10 am on May 21, former KCTU president Han Sang-gyun was released on parole from Hwaseong Detention Center in Gyeonggi Province with six months remaining in his sentence. KCTU members, family members of victims in the Sewol ferry sinking, and figures from progressive parties and the religious community stood out in front of the center to celebrate his release. Foreign correspondents flew into North Korea Tuesday to witness the dismantling of the Punggye-ri nuclear test site but South Korean reporters weren’t among them after Pyongyang refused to let them in. The South Korean government expressed “regret” that its journalists were not able to travel to the North, but noted that the dismantling of the nuclear test site was a step toward denuclearization. Journalists from four countries — China, Russia, the United Kingdom and the United States — arrived in Wonsan on a direct chartered flight after departing from the Beijing Capital International Airport on North Korean flag carrier Air Koryo around 9:45 a.m. The foreign correspondents will be lodged in Wonsan, a port city in North Korea’s eastern Kangwon Province, after being invited by Pyongyang for the on-site coverage of the dismantlement of its Punggye-ri nuclear test site in North Hamgyong Province between Wednesday and Friday. Samsung Electronics is opening research centers dedicated to artificial intelligence technology in the United Kingdom, Canada and Russia.That will bring the number of Samsung’s AI research centers to five, adding to existing ones in Korea and California. The Cambridge center in the U.K. opened yesterday, the Toronto center in Canada opens on Thursday and the Moscow center in Russia opens next Tuesday.In November, the electronics giant established an AI center under Samsung Research, a unit that heads development of future technology for the company. Two months later, a Samsung AI center was opened in Silicon Valley in the United States.The Korean center will function as headquarters for all five AI research centers, making it a global hub for AI research. Samsung has grand plans to expand the number of specialized researchers in the AI field to more than 1,000 by 2020, and some 40 percent will be foreigners. A senior Blue House official said it was “99.9 percent likely” that a historic North Korea-U.S. summit will take place next month amidst growing worries about the North threatening to pull out of the meeting. “We think it is 99.9 percent likely that the summit will take place,” Chung Eui-yong, head of the Blue House’s National Security Office, told reporters on the presidential plane en route to Washington for President Moon Jae-in’s summit meeting with President Donald Trump at the White House scheduled for Tuesday. Moon made his third visit to the United States since taking office last May “to prepare” as there “could be many variables” in the preparation in the run-up to the June 12 summit in Singapore, according to Chung. Moon’s summit with Trump, which was set to begin with a one-on-one meeting only accompanied by interpreters Tuesday in the Oval Office, comes three weeks ahead of the Kim Jong-un-Trump summit amid growing jitters and skepticism about the North ridding itself of weapons of mass destruction. "Last Chance to Tell the Truth. Please Find the Person Responsible for the Shooting"
Thirty-eight years ago in May, Gwangju was isolated as the citizens cried for democracy. The airborne units set up a barricade and lied in ambush on the road heading to the outskirts of the city. On May 27, the military cut off all communication including phone lines ahead of an operation to take over the provincial office. People who wanted to know whether their families were alive went to Gwangju by bicycle and on foot. On the way, some were shot dead by the military for no reason.The number of civilians who died during the May 18 Democratic Uprising was 166. When we add the number of people who died from injuries and other side effects (110) and of people who went missing (76), the total number of casualties reaches 352. The number of people punished for the May 18 incident is only fifteen, including former President Chun Doo-hwan. Former presidents Chun Doo-hwan and Roh Tae-woo, who were sentenced to life and seventeen years in prison respectively, were both pardoned in 1997. Women in White Raincoats Gather at Gangnam Station in the Rain, "We're Here to Change the World, Which Remains Misogynist"
On May 17, the second anniversary of the Gangnam Station murder case where a woman was killed in the bathroom of a singing room near Gangnam Station in Seoul rally was held in memory of the victim near the site of the murder. Over two thousand women in black clothes and white raincoats poured out onto the street in the rain shouting, "The world continues to discriminate women, and misogyny prevails" and "We are here to change this world. "The Citizens' Movement Supporting the #MeToo Campaign group of over 340 women, labor and civic groups athered in front of Sinnonhyeon Station exit 6 in Seoul at 7:00p.m. and held a rally under the heading, "A Rally in Memory of the Victim of the Gangnam Station Murder Calling for the End of Sexual Discrimination and Violence " and declared, "We will not stop. A world where women were forced to remain silent is over." The participants of the demonstration shouted slogans, such as "Stop violence against women," "Realize legal justice," and "Punish illegal candid pictures." Usually, when people think of a foreign company, they think of a workplace with an advanced working environment and a high salary. They think of an atmosphere that gives the individual workers more freedom and allows them to enjoy a balance between work and life. However, this is far from reality. The labor union of Oracle Korea, an American IT company launched a three-day strike on May 16 saying, "Despite having worked at the company for many years, wages remained stagnant and the long working hours are a serious problem." This is the first all-out strike by the workers of a foreign IT firm in eighteen years since the workers of Fujitsu Korea went on strike demanding a raise in 2000. Established in 2015 as one of South Korea's emerging biotech startups, PaxGenBio has produced test kits for early detection of pathogens and gene mutation as a life science company with distinctive technology and management philosophy.Three years later, its name and products targeting hospitals and public health centers are still unfamiliar at home, but it has gradually gained recognition from specialists, probably better known among overseas clients looking for reliable and good things.Confident of a high level of technology and price competitiveness, PaxGenBio head Park Young-Suk portrayed a big picture to nurture his company into a global player capable of producing accurate and affordable molecular diagnostic kits. South Korean President Moon Jae-in and U.S. President Donald Trump agreed to closely work together to hold the U.S.-North Korea summit as scheduled, apparently removing earlier skepticism by the U.S. over the North's commitment to the summit and its denuclearization. "President Moon and President Trump agreed to do their utmost so the U.S.-North Korea summit scheduled for June 12 will be held without any disruption," Moon's chief press secretary, Yoon Young-chan, said of the summit here in Washington.The latest South Korea-U.S. summit came one day after Moon arrived. His meeting with Trump marked the fourth of its kind since Moon took office in May 2017. The agreement to hold the U.S.-North Korea summit as scheduled came shortly after Trump hinted at a possible delay. U.S. President Donald Trump suggested that his planned meeting with North Korean leader Kim Jong-un may not happen next month. Trump met with South Korean President Moon Jae-in at the White House ahead of the historic summit set for June 12 in Singapore. "There's a chance that it will work out. There's a very substantial chance it won't work out," Trump said at the top of his talks with Moon. "That doesn't mean it won't work out over a period of time. But it may not work out for June 12. But there's a good chance that we'll have the meeting. 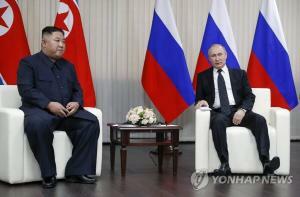 "Preparations for the summit continue, but it could be canceled if U.S. conditions aren't met, he added. Hyundai Motor Group decided to back away from its restructuring plan following a growing rally of opposition led by U.S. activist hedge fund Elliott Management. Hyundai Mobis Co. on Monday called off the shareholder meeting scheduled for May 29, which was to put to a vote a plan to spin off its module and after-sales service businesses and merge them with logistics firm Hyundai Glovis Co. Lim Young-deuk, chief executive of Hyundai Mobis, said in a statement the company recognized the “lack of communication with shareholders and the market” and decided to review the overhaul scheme and seek approval at a later date after gaining sufficient confidence and support from the market. South Korea’s major oil refiners have reported weakened earnings in the first quarter of this year even while consumers are paying more at the pump. According to industry sources on Tuesday, domestic gasoline prices averaged 1,570 won ($1.45) per liter this month, hitting their highest levels in nearly three years. Global oil prices have surged as Russia and the Organization of the Petroleum Exporting Countries (OPEC) extended their production cuts and Venezuela declined its output. The U.S.’s recent withdrawal from the nuclear treaty with Iran has also raised concerns of tightened supply, further pushing up the price of crude. Masayoshi Son, founder and chief executive of Japanese conglomerate SoftBank Group, paid his respect to the late LG Chairman Koo Bon-moo, who died Sunday, by sending a letter of condolences through Maeil Business Newspaper. Son, a Japanese businessman of Korean descent, had forged a cross-border friendship with Koo, his senior by 12 years. Koo passed away at 73 after a year-long battle with brain disease. Koo, who took the helm in 1995, is credited for transforming Korea’s fourth-largest conglomerate into a global tech powerhouse.